Have you ever wanted a luxury car that can actually leap up into the air to protect you in a collision? Audi thinks the answer to that question is yes - and it also feels that you're so sick of driving that the new A8 should take care of most of that too, as Sami discovers during his time in Valencia with the redesigned 2019 model. As for Benjamin, he spends the week with the Mercedes-AMG E43, a confusingly-branded mid-range version of the comfort-minded mid-size sedan from Mercedes-Benz. 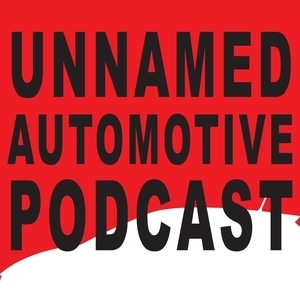 We also talk lightning rod shifters, fake manual transmissions, and why Benjamin feels like he was hit by a truck after a weekend on the track in his Datsun. 2017 Mercedes-AMG E43 Review — Automotive branding breeds unusual beasts, and nowhere is this truer than in the ever-shifting landscape of German luxury sedans and their performance counterparts.